This Georgia permit practice test, with multiple choice questions, is intended to help you prepare for the GA driving test that is required before you can get your driver’s license. If you have completed a defensive driving course, you may be able to save on your auto insurance premiums when buying a new or used car either by financing, leasing or through a bank car loan. Also available in Spanish version. You must have an appropriate driver’s license or permit in your possession while operating a motor vehicle in the State of Georgia. If stopped while driving, you must display your driver’s license/permit to any law enforcement officer upon his or her request. Upon reaching age 15, or anytime thereafter, you may apply for a Class CP Instructional Permit. Before you take the Permit Test, you can take our Georgia permit practice test. These tests include everything you will need to know for the real test. Pass the first time by taking our FREE Georgia permit practice test. We offer the practice tests in both English and Spanish. Pass the first time by taking our FREE Georgia driving test. 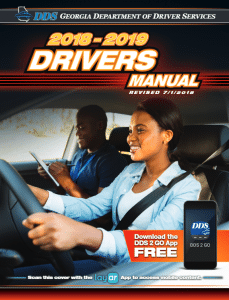 Over 200 question and answers are taken from official Georgia driver’s manual. Pass the first time by taking our FREE practice test. Over 200 questions with images taken from official Georgia driver’s manual. Prepare for your permit test with our practice Georgia driving test. Gain access to 100s of practice questions and pass your permit test the first time! Free online written driving test for Georgia, Online permit test software for learner’s permit driver knowledge test. Why should you take a Georgia permit practice test? Because you don’t want to show up, stand in line, only to be told you didn’t pass and have to start over. So, why not make it easy on yourself and pass the test the first time? With our practice tests and a little studying, you should be able to pass it without any problems. Fines, limits, regulations, and citations: You need to know the Georgia point system for citations and the fines you might get if stopped. Road signs and road situations: You need to know what a sign means based on the shape of the sign. You also need to know the pavement markings. Alcohol and drugs: You need to know the dangers of driving under the influence and the consequences of driving under the influence. Signaling: You need to know the proper signals for driving, the traffic signals, and special rules such as the need to move over or slow down for emergency vehicles. Emergencies: You need to know what to do in case of an emergency or collision. Not following the law during a collision could result in a suspended license. Right-of-way: You need to know when pedestrians have the right-of-way and when you need to yield to other vehicles. So, don’t try to study on your own, contact us and let us help. 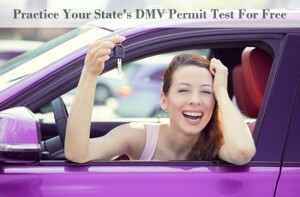 Then, when you are ready, gather the required documents and go to the DMV and pass the test with flying colors!